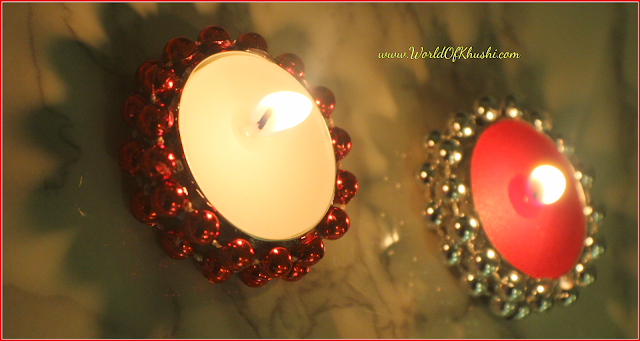 Last time I shared how to give new look to your regular Tea-light Candle by using Glitter Tape. If you have not seen that you can check that here. 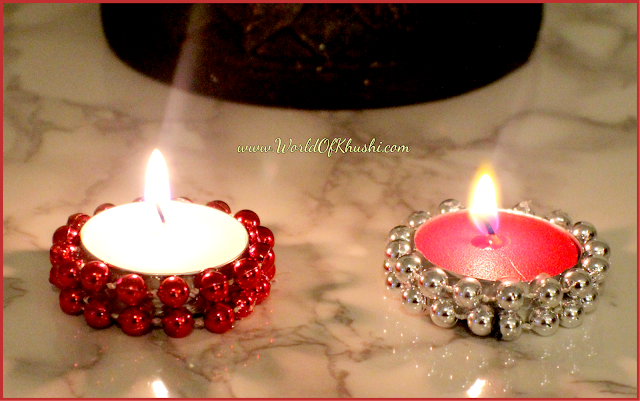 In today's post I am sharing another easy way to decorate Tea-light Candles. This time we are going to use String Pearl Beads!! I hope you all are liking our Diwali Series so far. Stay tuned because there are lot of good stuff coming your way. Without any delay let's make it!!! Step 1. Measure Silver String Pearl Beads according to Tea-light Candle. We need 2 strings for 1 candle. Step 2. 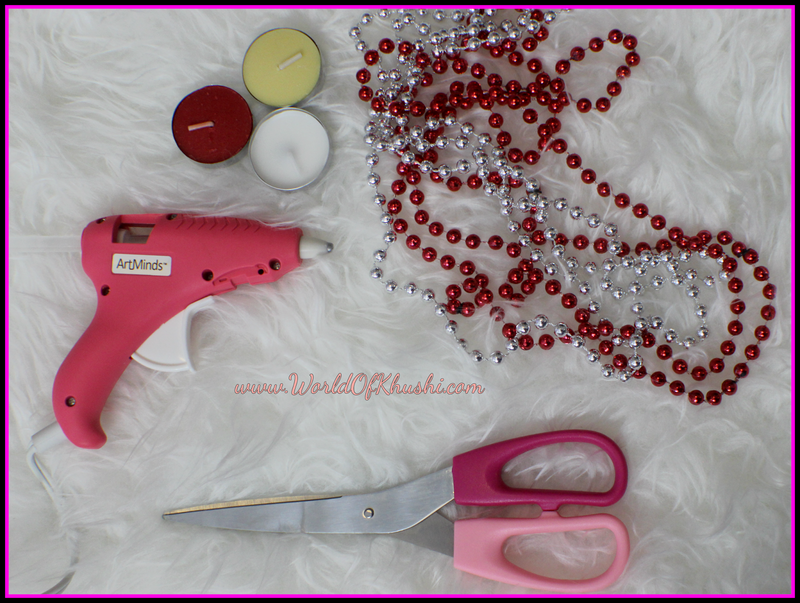 With the help of Hot Glue Gun stick String Pearl Beads to the aluminum part of the Tea light Candle. Step 3. First apply on the upper part of Candle then use second String and stick it in the lower part of Candle. Step 4. Repeat the same steps with other Candles using the Red String Pearl Beads. Your festive String Pearl Beads Tea-light Candle are ready. Note :- I am using Red String Pearl Beads with White Candle and Silver String Pearl Beads with Red Candle to give the contrast look. I hope you have liked this String Pearl Beads Tea-light Candles!! I am going to share more Diwali DIYs so stay tuned with Khushi's World. 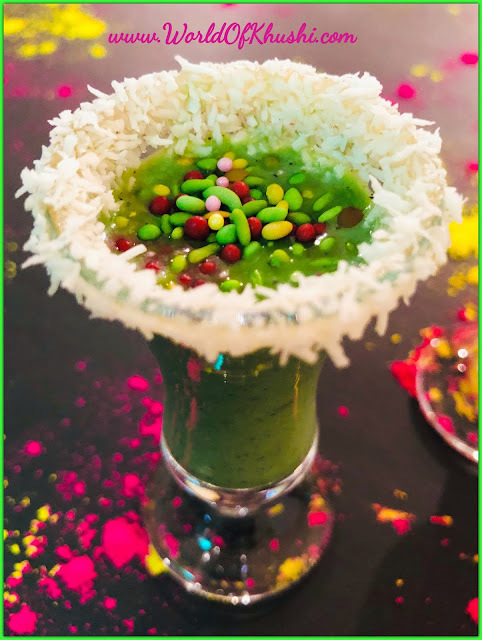 Try and also share your pictures with us, will feature them in our Website. Please like and share the Post. 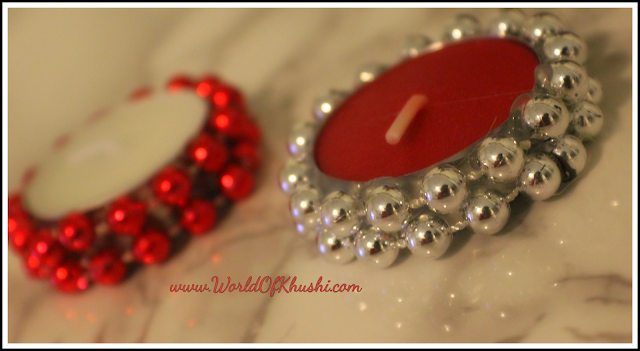 For more Diwali DIYs stay tuned with Khushi's World. 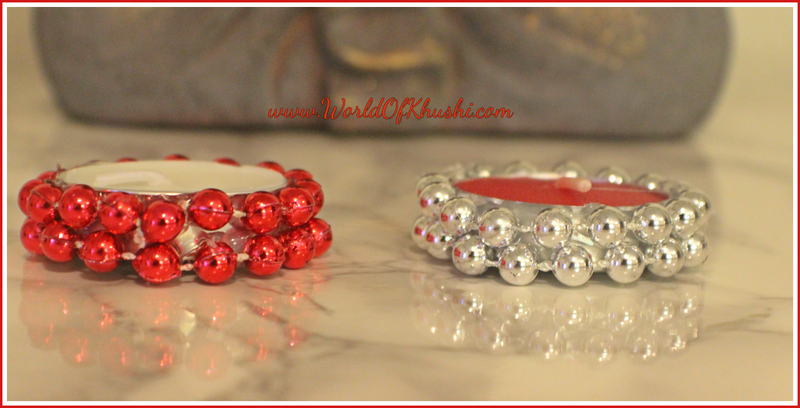 Follow us on Khushi's World Facebook Page, Google+, Instagram and Pinterest. I will see you in next post till then take care.